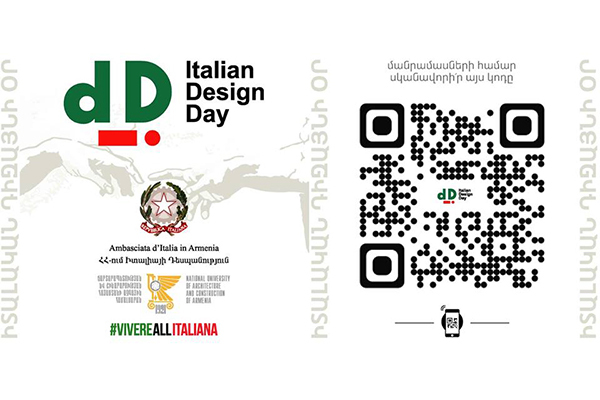 We are pleased to inform you that ITALIAN DESIGN DAYS will be celebrated on March 22 at the National University of Architecture and Construction of Armenia. The event will start at 10:00 am at the Polytechnic foyer (2nd floor), with the presence and participation of Italian Ambassador to Armenia Vincenzo del Monaco. Within the framework of Italian Design Days Italian architects will visit to NUACA and present the projects entitled “Smart City” and will speak about contemporary Italian architecture and design.